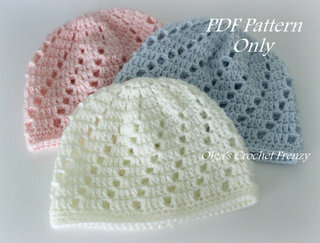 Today I have a new preemie baby hat pattern to share. But before I get to the pattern, I want to share the story that inspired me to create these tiny preemie hats. 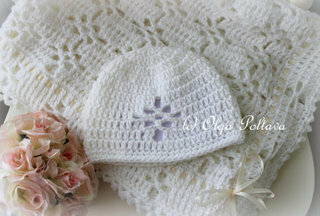 One of the customers from my Etsy shop bought all the preemie baby hat patterns that I have (shown on the photo below). She left me a note sharing that when her daughter was born she was quite small, but this Christmas she will turn twenty-one. So Janet is going to make twenty-one preemie hats, and on the Christmas Eve day, she will take them to the neonatal ward at the hospital where her daughter was born. 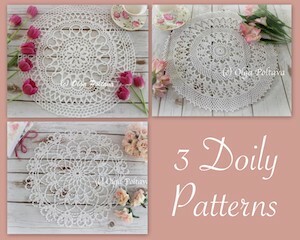 I was touched by Janet's kindness and I also felt honored that she will be using my patterns. 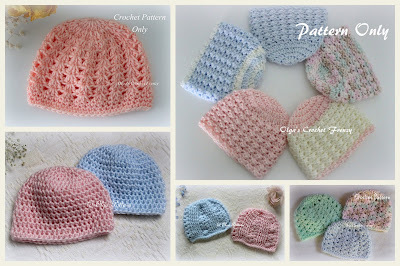 While there are lots of free or paid baby hat patterns on the web, there are not that many patterns for premature babies. I hope my pattern will be useful and will inspire crocheters for acts of kindness just like Janet's. For these hats I used Handicrafter crochet thread by Bernat. At the moment, it's my favorite thread to work with for baby and kids items. It's an acrylic thread that gives a soft and stretchy texture. This pattern may not be redistributed in any form. But you are welcome to make items for personal use, for charity, or for sale. Repeat Round 6 until the hat measures 4 inches in height. Decorate the hat with premade satin ribbon flowers (optional). I guess I now entered a summer hat making phase! Or should I say summer hat making frenzy? With so many flowers blooming around here in California, I have tons of ideas. 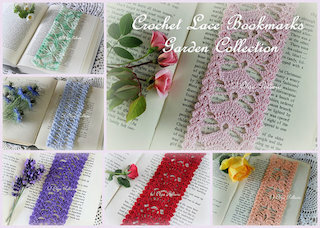 And I have tons of crochet thread too! 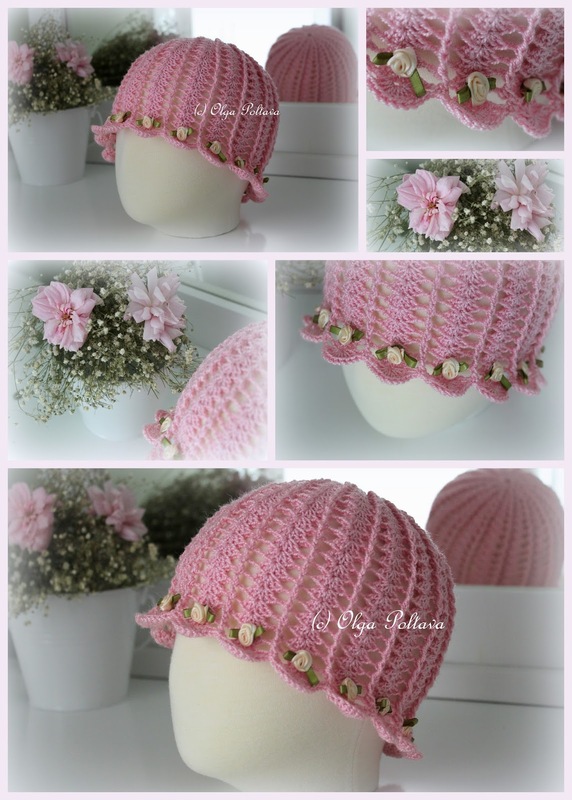 For this hat, just like for the previous one, I used Handicrafter by Bernat. This 100% acrylic thread is perfect for summer crochet projects. The finished items have a light and stretchy texture. I have a lot of Handicrfater thread in my stash, so there will be more crochet hats coming. 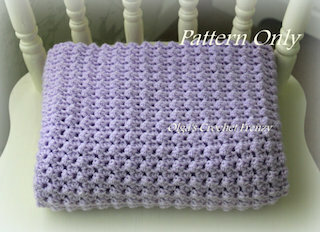 This pattern is available in my Etsy and Craftsy shops. Here in California summer is just around the corner! The weather is warm and sunny, and roses begin to bloom. And here are Irish roses "blooming" on girls hats! The hat itself is very simple. 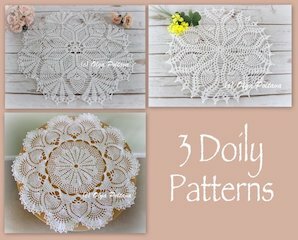 It's made in a basic crochet mesh technique. 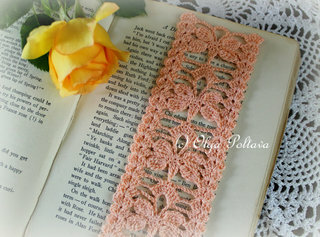 It is decorated with a rose and two leaves, which are made in the Irish crochet technique. Nothing new really. And yet I fell like I've created something quite precious and unique. 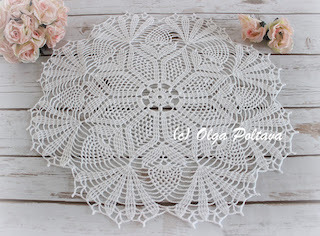 That's the beauty of the crochet art. There are endless ways to create new and exciting things using the old and time-tried techniques. 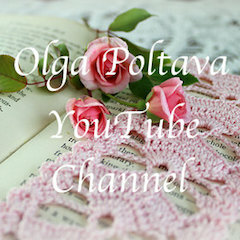 The hat is made using a steel hook size 1.75 mm and 100% acrylic crochet thread size 5 (I used Handicrafter by Bernat). 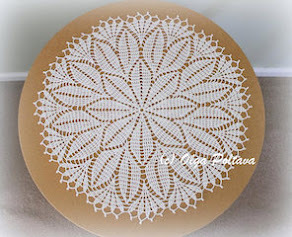 Cotton crochet thread would work too, though acrylic would give you a softer texture. 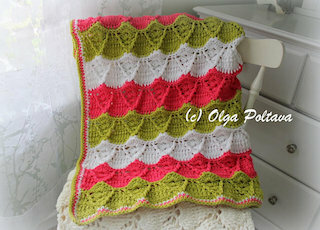 The pattern is available in two sizes: 1-2 years old and 3-5 years old. The pattern is very detailed and easy to follow. It's available in my Etsy and Craftsy Shops. Saint's Patrick's Day is actually my friend's birthday! So I made her a little something - a shamrock leaf pin. The pattern is quite simple. Round 1: *sc in ring, ch 7, sl st in sc* four times, join with sl st to 1st sc. Round 2: *sl st in next ch-7 space, in this ch-7 space makes the following: ch 1, sc, hdc, 4 dc, ch 1, hdc, ch 1, 4 dc, hdc, sc* four times; join with sl st to 1st petal. Ch 8, sc in 2nd ch from hook, sc in each ch; join with sl st.
Block if needed. Attach a pin to the wrong side. I finished this shawl over a month ago, but it took me a while to add the fringe (that's such a tedious job), to photograph the finished shawl, and to put the pattern together. But now it's finished! I love that feeling of accomplishment when I finish a big project! 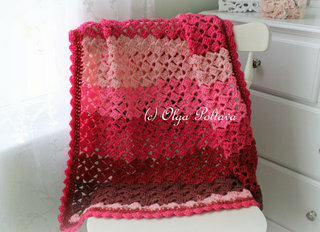 I used Caron Simply Soft Party yarn (category 4) and a size G/6 (4.25 mm) hook. 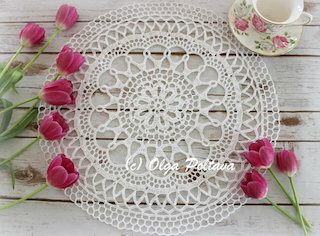 The open lace stitch with puffs works very quickly. The gauge in this pattern is not important, so other types of yarn would work too. 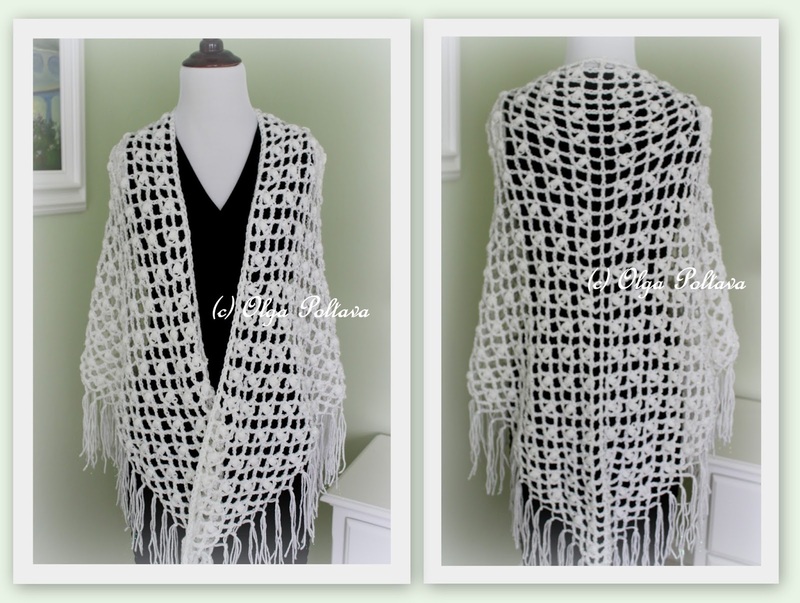 The finished size of this shawl is approximately 74 inches wide and 34 inches long (not including the fringe). 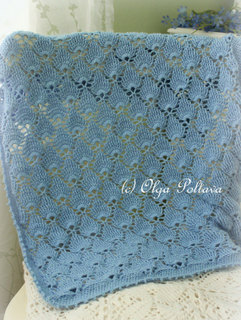 I wrote a very detailed pattern and included close-up photos on how to start this shawl. 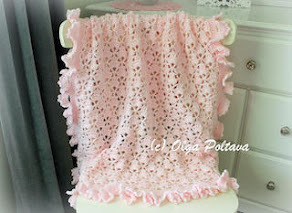 I think even a beginner crocheter would be able to finish this project.